The Phil Simon Clinic is a nonprofit organization operating within Huntington Memorial Hospital’s Ambulatory Care Center. It serves as a referral center for insured and uninsured persons infected with HIV/AIDS within the San Gabriel Valley. The Clinic is staffed by board certified infectious disease and HIV specialists as well as highly experienced nursing and administrative personnel. Psychosocial support is available on site by clinical social workers experienced with HIV/AIDS. Adjunct services such as case management, home health and benefit evaluations are provided by The Phil Simon Clinic’s close association with AIDS Project Los Angeles. The Phil Simon Clinic is an important teaching venue for internal medicine residents training at Huntington Memorial Hospital. It provides complete clinical and academic training in HIV medicine for internal medicine residents, pharmacy residents and medical students from USC Keck School of Medicine. 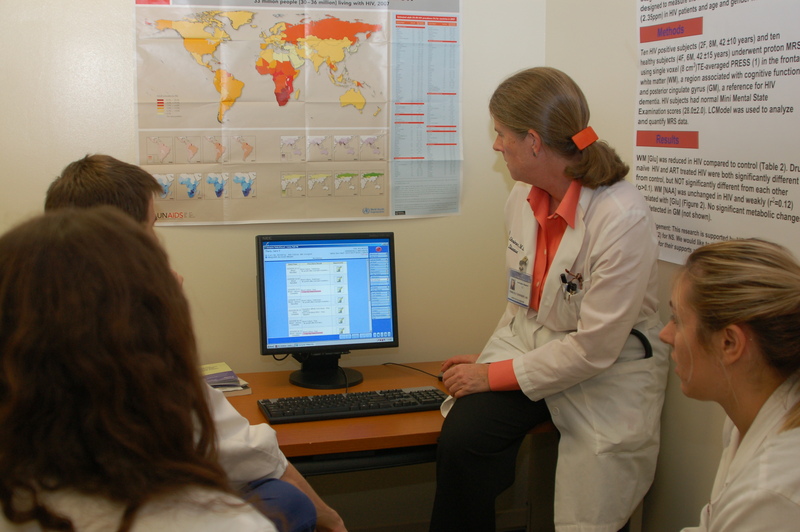 In addition to patient care, the Clinic also is actively involved in basic science and clinical research in HIV/AIDS. It conjunction with its research activities, the Clinic is involved in local community outreach and education. The Phil Simon Clinic has been at the forefront of global HIV services with its activities in East Africa supported by The Phil Simon Clinic Tanzania Project. The Phil Simon Clinic is dedicated to outstanding care for persons infected with and affected by HIV/AIDS throughout our local and global communities. The Phil Simon Clinic is actively involved in clinical and basic science research which has been presented at national and international scientific meetings and published in peer reviewed journals. Special interests in research at the clinic include neurologic manifestations of HIV/AIDS, cardiac manifestations of retroviral infections and HIV and aging. Collaberative research is conducted with Huntington Medical Research Institute (HMRI) and the California Institute of Technology. As a division of the Huntington Memorial Hospital internal medicine residency program, The Phil Simon Clinic provides clinical experience and research opportunities in the field of HIV medicine. Second and third year internal medicine residents rotate through the clinic on a monthly basis and are supervised by experienced HIV specialists. In addition, internal medicine residents may participate in The Phil Simon Clinic Tanzania Project. Over the last 5 years, internal medicine residents have participated in the preparation, curriculum and development of The Tanzania Project. As part of an infectious disease rotation, resident physicians have traveled to Arusha, Tanzania with the rest of the volunteer team. Activities there include clinical work in HIV and medicine centers, home based care, participation in academic seminars and clinical research. Many faculty members of Huntington Hospital’s Graduate Medical Education department have participated in the Tanzania Project as well, supervising American and Tanzanian house officers and providing clinical support in the clinics. The Phil Simon Clinic Tanzania Project offers house officers the opportunity to see first hand the clinical, socioeconomic and cultural challenges of working in a developing nation. Faculty and residents of the internal medicine program have participated in the scholarship exchange program sponsored by The Phil Simon Clinic and have welcomed Tanzanian physicians to the hospital and the training program. Recognizing the importance of global medicine, the Graduate Medical Education department of Huntington Hospital has continued to support The Phil Simon Clinic’s work in East Africa.